The Progress 62 cargo craft arrived at the International Space Station Dec. 23, 2015, and docked to the Pirs docking compartment. Expedition 48 Commander Jeff Williams is conducting a 3-D printing experiment inside the Destiny laboratory module today. His crewmates, Flight Engineers Oleg Skripochka and Alexey Ovchinin, worked on a variety of Russian experiments and readied a cargo ship for departure. Williams gathered the 3-D Printing payload hardware and set up the gear in the Destiny lab’s Microgravity Science Glovebox. The 3-D Printing in Zero G is a demonstration experiment seeking to determine if a 3-D printer can work in outer space. In-space manufacturing may enable future crews to be less dependent on cargo missions for supplies. Skripochka checked equipment that is part of an experiment to determine the location of micrometeoroid impacts on the International Space Station. The duo started the day closing the hatch to the Progress 62 (62P) cargo ship and conducting leak checks. The 62P will undock from the Pirs docking compartment early Friday then redock 34 minutes later. 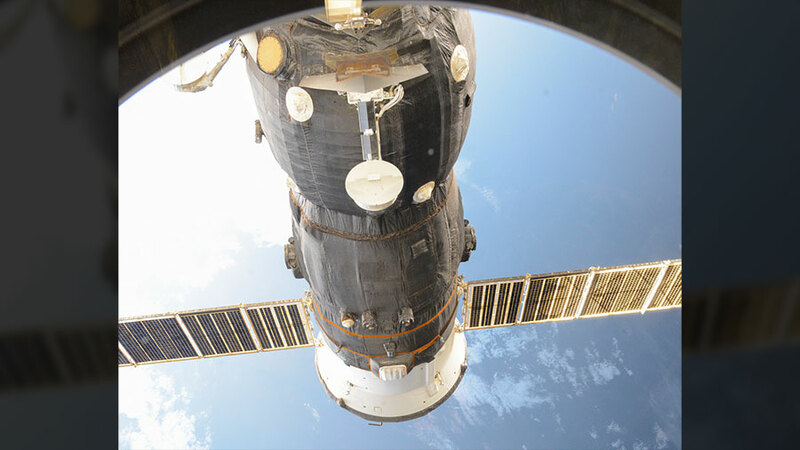 The redocking will be done manually to test an upgraded telerobotically operated rendezvous system installed in the Zvezda service module. The 62P will finally undock Saturday night and re-enter Earth’s atmosphere for a fiery destruction less than four hours.